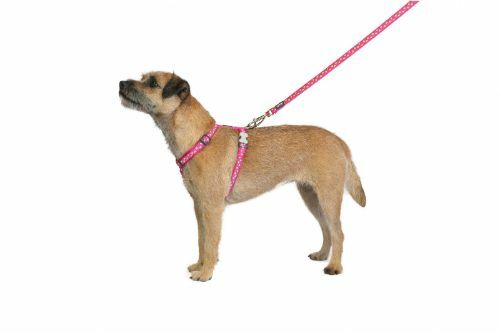 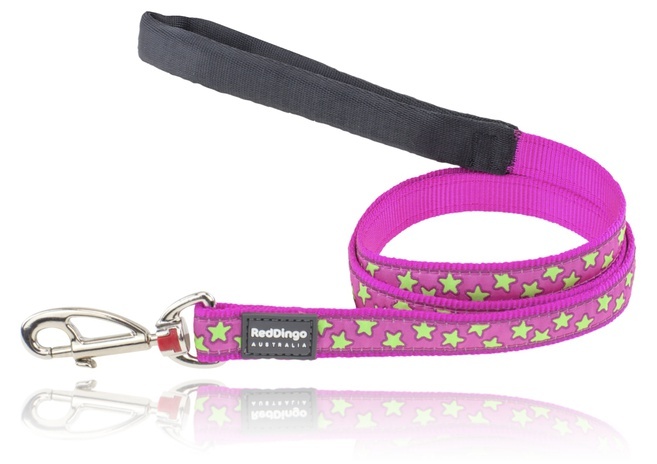 This Hot Pink dog collar with Lime stars is one of Red Dingo's patterned dog collars that is sure to be a hit with both you and your dog. 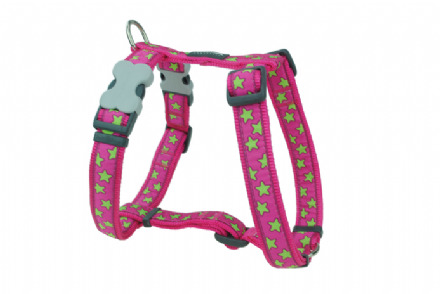 It is made from soft feel nylon, but don't let the soft texture fool you as it is tough and extremely durable too. 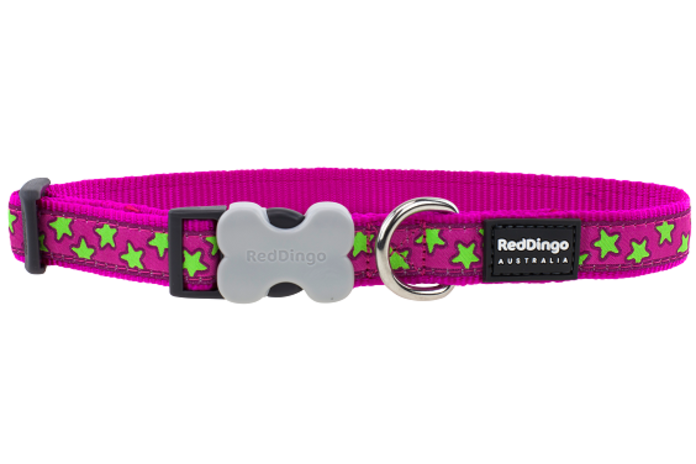 All Red Dingo collars are adjustable and include the unique grey bucklebone clip which, is made from acetyl plastic. 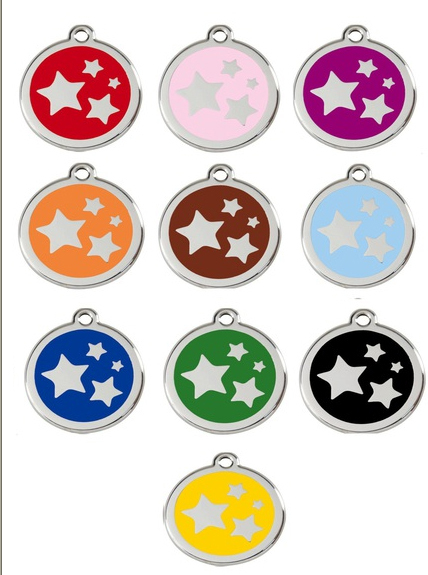 Acetyl is a chrystalline plastic or engineering plastic, used widely for it's strength.